Ilkley is a spa town in the northern reaches of West Yorkshire. It has a population of around 15,000 and a strong property market thanks to its popularity and rural charm. At My Home Move Conveyancing we offer a specialist, fixed fee conveyancing service, and have been developing our knowledge and expertise of property markets like Ilkley’s since 2001. If you’re looking to buy or sell property in Ilkley, you’ll need to instruct property lawyers to carry out the legal work on your behalf. 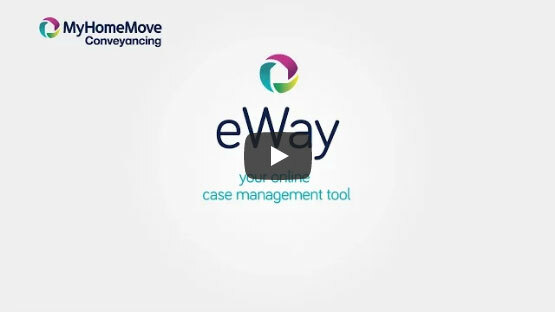 As your Ilkley conveyancers, My Home Move Conveyancing can offer you our award winning customer service, innovative use of technology and a market-leading attitude to what we do. Our conveyancing service comes without any hidden extra costs, so you’ll know exactly how much you’re going to pay from the start. What’s more, if you don’t end up moving, you won’t have to pay us anything in legal fees. We’ll provide you with a dedicated conveyancer, who’ll look after your case from start to finish. You’ll have a consistent point of contact and regular updates on your progress, as well as online access to your account. At My Home Move Conveyancing we’re proud to provide our conveyancing services in Ilkley to customers across the local area, including spots close to the town centre and train station, and in neighbourhoods by East Holmes Fields and Ilkley Golf Club. The average house price in West Yorkshire is £146,828, while the overall average sale price during the last 12 months in Ilkley was much higher than this at £368,986. Most sales in this period involved flats, which went for an average of £250,766. Detached properties fetched £621,279 and semis £365,171. With evidence of settlement dating back as far as 11,000 BC, Ilkley’s local area has long been a beautiful and popular place to live. The town was historically a spa town, and tourism is an important industry here. With Victorian architecture defining the town centre, there’s lots of lovely countryside surrounding the town, perfect if you love exploring and going on walks or bike rides. Ilkley has a peaceful, relaxed atmosphere, but has a great location not far from major Yorkshire cities Leeds and Bradford. Trains to both cities take just half an hour from Ilkley station, making it a great place to live if you want to commute. When you want to go on holiday, Leeds Bradford Airport is less than ten miles away, a journey that should only take around 20 minutes by car. There are some excellent schools in the area which will please families with children. Ilkley has four primary schools to choose from, All Saints CofE, Ashlands Primary, Ben Rhydding Primary and the Sacred Heart Catholic Primary. There’s one secondary school in town, which is Ilkley Grammar on Cowpasture Road, a school with a fantastic reputation. All properties in Ilkley will fall within one of the following council tax bands.